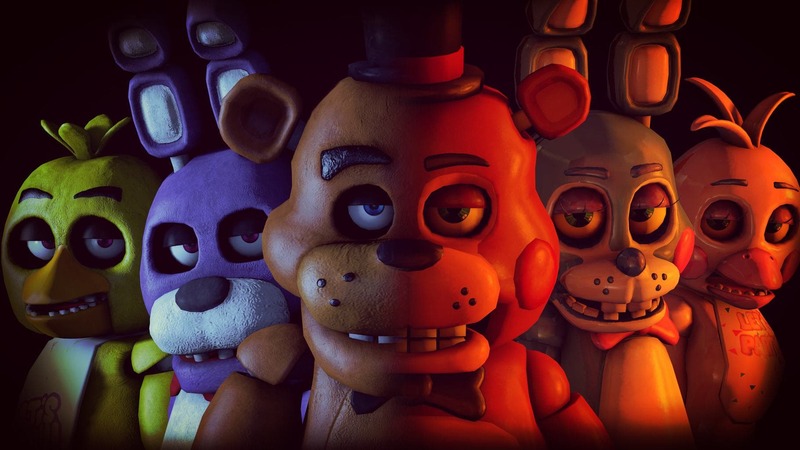 Five Nights at Freddy’s is a game series that not only gets better, but also scarier, with each new addition. It’s quickly become a cult classic within the indie gaming community. Interestingly, Five Nights at Freddy’s is not anything special graphically. Nor is it an objectively fantastic game. It’s just a simple take on the horror genre, but it’s done in a way that makes its simplicity uncomfortable. You play as a man working as a nighttime security guard at the restaurant, Freddy Fazbear’s Pizza. During your first shift, you receive a voicemail from a previous worker. He explains that the animatronics (Freddy Fazbear, Chica the Chicken, Bonnie the Bunny and Foxy the Pirate Fox) sometimes wander around the restaurant after it has closed. He also adds that that if they catch you they will assume you are an endoskeleton without its costume and will forcefully stuff you into a spare mechanical Freddy Fazbear costume, which will ultimately kill you. Fun, right? 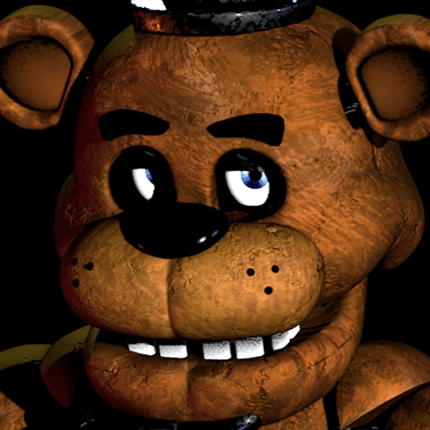 Freddy is the main animatronic in charge as the lead singer of Freddy Fazbear’s Pizza Band. While he appears in many different variations in the later games, he’s typically represented as a mechanical bear. Similarly to the other animatronics, he’s left to wander around the restaurant after it’s closed. 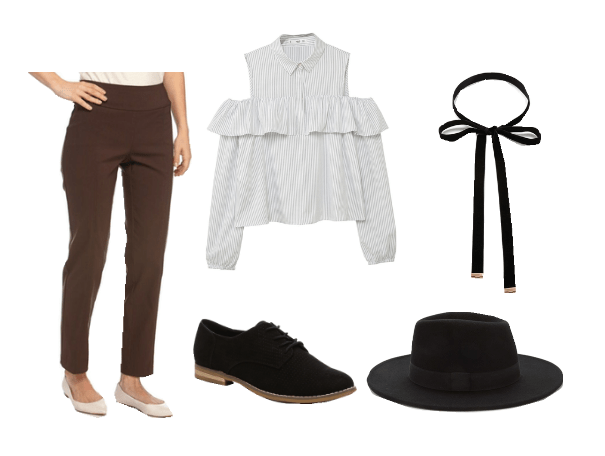 As homage to Freddy’s top hat and bow-tie, I decided to add a black bow-tie choker and a black fedora. These pieces not only maintain a dark color scheme that reflects the horror genre of the game, but they add to that theme of darkness with their gothic, witchy vibe. 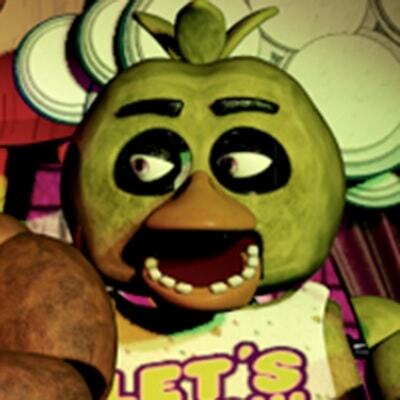 Chica is a brightly colored chicken animatronic and a backup singer in Freddy Fazbear’s Pizza Band. As one of Freddy’s followers, she wanders around the halls of the restaurant just like him, specifically around the kitchen area. I decided to keep a bright color scheme for Chica’s outfit with a bright yellow dress and light tan bag that sort of match her the colors of her beak and body paint. In order to add in that theme of darkness once more, I included a black leather vest and some black open-toed boots. 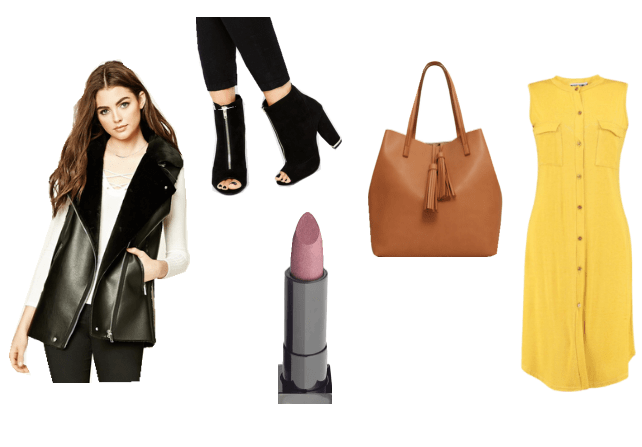 These pieces are not only dark in color, but they give off a scary, powerful vibe when paired with the lighter dress and bag. It’s a playful look, but it also gives off an intimidating, slightly uncomfortable vibe, much like the feeling you get after you finish the game. To finish off the look, I added a light pink lipstick called, “Let Them Eat Cake.” This name is quite similar to the words “Let’s Eat” that are on Chica’s bib. 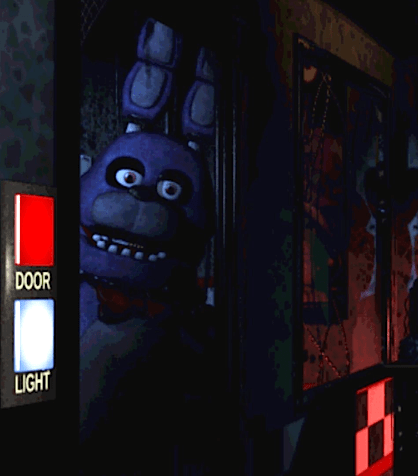 Bonnie is a purple colored bunny rabbit animatronic who, like Freddy and Chica, roams the halls of the restaurant after hours. She is also the guitarist of Freddy Fazbear’s Pizza Band. Bonnie’s outfit is very different from both Chica’s and Freddy’s as it’s littered with lightly colored, fluid pieces. This is because all of the animatronics are possessed by ghosts. 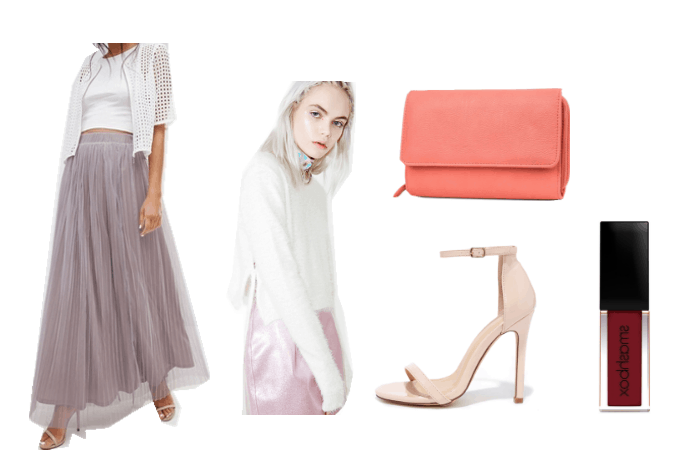 The long, flowing purple skirt, resembling the color of Bonnie’s body paint, the pale white sweater, and the pale pink heels all add to the ghostly element of the outfit with their muted colors. However, I finished the look off with a surprisingly bright coral wallet and a shocking dark, matte red lipstick. Both pieces contrast harshly against the lightness of the sweater, heels, and skirt. These pieces jump out at you… just like the animatronics do in the game. How much did Five Night’s at Freddy’s frighten you? Or were you not scared at all? Did you enjoy the game? Most importantly, leave me some suggestions in the comments for what you want to see in the next Video Game Fashion.